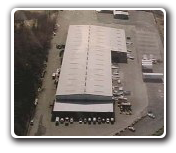 From 6″x6″ to 220″x72″, we can handle the smallest and the largest rectangular projects. 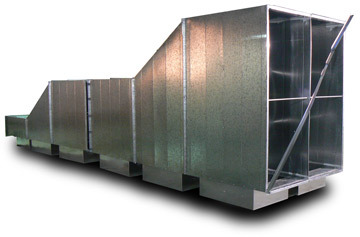 Our rectangular duct and fittings are manufactured from a variety of gauges and materials including galvanized, galvaneal, aluminum, PVC coated, stainless steel and carbon steel in singlewall, lined and doublewall configurations. Please click here for more information on our Rectangular Capabilities. 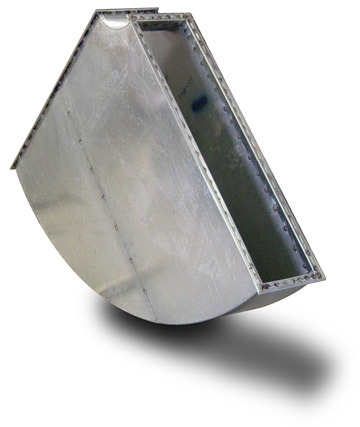 We supply our rectangular duct and fittings with a wide variety of connecting systems. Slip & Drive, TDC, SpiroQuad Frames, SpiroQuad Couplings, a variety of applied duct connectors and bolted angle iron flanges are all available factory installed or loose for field installation, where applicable. Whatever the specifications and project conditions require, we have the labor-saving connections to make installing our products a snap. 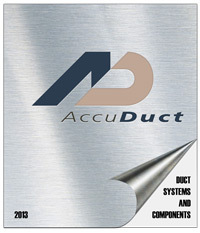 Copyright 2019 Accuduct Manufacturing, Inc. All rights reserved.